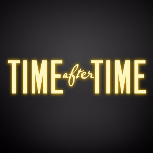 In a Nutshell: I was gonna say that Time After Time is the latest in a long line of 2016-17 time travel series, but the press release actually says it's "not a time travel show," so there you have it. Instead, time travel is only present at the launch of the series, which will eventually settle into the present day as H.G. Wells pursues Jack the Ripper. Best Case: Of all the March premieres, Time After Time is the only one that's really done anything in terms of social media interest, and it's picked up quite a bit in the last couple weeks. The genre elements and romance should make it a great fit with Once Upon a Time, and it's a splashy enough concept to build big on that show for a few weeks. 1.48, coming close to the season one Resurrection Plus (with a lower start but a better post-premiere hold). Worst Case: Ever since Resurrection, these post-Oscar launches have been getting weaker and weaker. It's kinda hard to imagine it could get much worse than last year's The Family, but it is going to be leading out of an ever-diminishing Once Upon a Time. And The Family actually held up rather well late in the season. If Time After Time starts bad and then gets rejected, it could get into Wicked City territory pretty quickly. 0.48. Likeliest: I do not expect this to work. Despite its genre elements, the promos don't really exude any kind of splash factor, and it hasn't seemed that high on ABC's priority list. Can it give itself much of a chance with tonight's premiere? I think it should feel pretty fortunate if it can break a 1.0, and I would go at least a notch lower than that. Settles at the same 0.6's we saw at times in the fall from Secrets and Lies and Quantico, maybe even a bit lower at the end? 0.65 and dunzo. 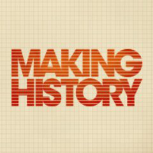 In a Nutshell: Making History, on the other hand, actually is a time travel series! It's also the latest half-hour comedy effort from The LEGO Movie/The Last Man on Earth/Son of Zorn minds Lord & Miller. It will be sandwiched between animated anchors The Simpsons and Family Guy. Best Case: Two years ago, The Last Man on Earth was one of the biggest surprise breakouts in recent memory, and this is another "big" concept from Lord & Miller that could do the same thing. It somehow pops to a high-1 tonight and, with a pretty strong set of reviews, is able to hold onto low-1's down the stretch. 1.25. Worst Case: If anything, Son of Zorn was proof that not everything these guys touch is gold. It didn't get any kind of football-related exposure and had its order trimmed to 9, which seems like pretty good evidence that Fox isn't giving it much of a chance. It starts with a typical Zorn-ish 0.6 or 0.7 and quickly turns into a Mulaney-level debacle. 0.48. Likeliest: Doesn't feel like a Last Man-style breakout in the making, but I think it might be an OK fit with this lineup in the same spirit, if the animation audience gives it a chance. While it doesn't have a prayer of coming close to Zorn's football-inflated raw numbers, it will "Truly" seem like a bit stronger show. May still not be enough for renewal though. Is it possible Fox will really want to save at least one of the Lord+Miller newbies? 0.74. Little Big Shots (2.17 A18-49, 149 A18-49+ last year): The biggest new series in 2015-16 was this NBC kids talent show, which returns to its Sunday 8/7c perch again for the spring. It did well enough last season that it should still be able to hang onto something solid this year, but how much of the season one crowd will peel away? I actually think a decent comparison here is Steve Harvey's other Sunday 8/7c series, Celebrity Family Feud, which also came back with a longer episode order in season two. Maybe a talent show should hold up better than a game show (as the category is more en vogue right now), but LBS was also a lot more frontloaded last season. So I think the year-to-year drop will be similar to CFF. It starts close to the season one low point and averages 1.45. Shades of Blue (1.17 A18-49, 80 A18-49+ last year): Last year, the freshman Jennifer Lopez cop drama was one of NBC's unsung heroes, clinging to a 1.0 all the way to the end despite sharing a night with low-rated repeats and You, Me and the Apocalypse. Now it caps off NBC's spring lineup with a (presumably) stronger lead-in from Chicago Justice. But can it withstand over 11 months off the air and a move to Sunday? I don't think it will do too bad, but it will definitely be a few notches below Little Big Shots and Chicago Justice. 0.83.